A student has shared her views on the referendum with us by sending us a filled out voting form. We agree with her views and argumentation and therefore publish it here as a more elaborate voting advise; we advise green governance model for a self-organising university, the implementation of a charter and a broad senate. First, we would like your opinion of the idea of installing a ‘senate new style’. Those who wish to read more about this topic will find a description of the purpose and composition of the ‘senate new style’ below the question. At the bottom of the page you will also find the “next” button. What is your opinion regarding the instalment of a ‘senate new style’? If you wish, you can elaborate on your answer below. A broad senate will give us the opportunity to finally have a good discussion about the goal of our university. A senate can also guarantee the core values of our university in both centralized and decentralized policies. The D&D committee proposes to install a ‘senate new style’: a representative forum designed to function as a critical ‘conscience’ and to safeguard the values on which policy and governance at the University of Amsterdam are based. The ‘senate new style’ will advise the university community and the governing board on a range of policy issues that concern the university as a whole. Regarding the senate’s composition, the committee finds that this ‘senate new style’ should have seats for permanent academic staff (including full professors), temporary academic staff, students, PhD candidates, faculty deans, members of the Executive Board, and support staff. Preparatory work will involve broadly composed working groups and open consultation with the community. The ‘senate new style’ should prevent discussions on the future of education and research at the UvA from being overdetermined by particular interests or by issues of the day instead of by valid arguments, broad discussion, and careful deliberation. The following questions concern the proposal to establish a charter with a number of core values that underpin governance and policy at the University of Amsterdam. You are asked here to assess a number of different core values that could be important for governance and policy at the University of Amsterdam. But first we would like to know what you think about the idea of a charter as the foundation of governance and policy at the University of Amsterdam, in principle. For more information about this topic, see the explanatory note on the meaning and implications of a charter for the University of Amsterdam below the question. At the bottom of the page you will also find the ‘next’ button. How do you feel, in principle, about the idea of a charter as the foundation of governance and policy at the University of Amsterdam? A charter can ensure that centralized and decentralized management takes certain core values into account. These values include pluralism in academic perspectives, and general diversity policy. A charter provides an answer to the question: “What kind of organisation are you, what does this organisation stand for, and why is this valuable?” But also: “Do you see these values reflected in what the organisation does, and is this clear to others as well?” The charter lists the core values that underpin governance and policy. By anchoring these values in a charter, these values are no longer non-committal since the university explicitly commits to upholding them. In a rapidly changing world, with all the unavoidable tensions and problems that an organisation like the UvA faces, an orientation based on fundamental values is especially important. The following questions are about the eight core values that could play an important role in governance and policy at the University of Amsterdam. For each of these questions we would like to know whether you think it should be included in the charter. Do you think this value should be included in the UvA charter of core values? Although it is important to understand and maintain ties with society, research should not be evaluated simply on its “usefulness” for producing a product or solving a particular problem. Academic education must take into account that a research field which does not seem directly useful at the moment might prove itself to be very fruitful in the future. The critical scientific attitude, meaning among other things the ability to place processes in a wider context, is very important given our increasingly complex society. This attitude is not just about doing research by following the rules of a specific field, or about learning techniques that can immediately be put into practice. A critical attitude can contribute to a research field that does not dogmatically hold on to its past, but which instead allows room to develop various perspectives. A climate of mutual respect and cooperation is conducive to research, studying, teaching, and working. Everyone can always learn from everyone else, and such an atmosphere can contribute to our development as people. People know best what works for themselves: how they can give shape to their work or studies, how they can transmit knowledge most effectively, how to administer their own work, how they learn most successfully. There should be a certain level of trust in the abilities of coworkers and students, as both are professionals in their own way. Academic staff are experts in their academic fields, and they know best how to teach the substance of their subject-area. Support staff are experts in their own areas, and therefore know best how to carry out their own tasks. Since students and staff are the ones who are the best at giving shape to their education, research, or other tasks, they should also be able to set policy. At the moment, students and staff are subjected to policies that are set in a top-down manner, which they have had no say in determining. They are made responsible for the execution of policies but not their formation, even though students and staff expertise can be much more effectively utilized. ‘Whoever takes on an administrative function respects the specific character of the university and the freedom of staff and students to use public means for the benefit of education, research, and social services. Students and staff are more than capable of deciding how to do their work. Although mistakes can be made, giving people responsibility and decision-making power will allow them to actually learn from these mistakes. Give a short description of the value(s) that you would like to add below. If you wish to add more than one question, please start with the most important one. Select ‘next’ once you are done. Diversity of curriculums should be ensured, because this allows us to understand varying ideas and perspectives. In this manner the aforementioned “critical scientific attitude” can be maintained. The following questions are about the principles that are fundamental to the democratisation and decentralisation of the organisation and governance of the University of Amsterdam. Please choose your preferred principle for every question. The coloured dots refer to the four models for governance and organisation that have been designed by the committee. Each answer refers to one or several of the models. The four models are presented briefly below. Click ‘next’ at the bottom of the page to continue. The current situation: Administrators take decisions. Workers and student councils at the university and faculty level have limited advisory and corrective functions (the right to advise and the right to consent). Faculties have separate organisations for education, research and staff. There are no formal representative councils within these decentral units. They are managed by administrators appointed by the dean. Administrators take decisions. Workers and student councils at the university and faculty level have a strong corrective role. Aside from the right to advise and the right to consent, they also have the right of initiative and the right of amendment. Faculties have separate organisations for education, research and staff, with administrators appointed by the dean. Within these units some kind of representative body will be installed. Councils composed of staff and students determine policy at the central and faculty level. An elected executive board prepares and implements policy. Within faculties, the responsibility for education, research, finances and personnel lies primarily with decentralised units at discipline level. These are governed by the joint councils composed of students and staff, which also elect the daily executive board. Within faculties, the responsibility for education, research, finances and personnel lies primarily with decentralised units at discipline level. Students and staff have the opportunity to design the organisation and governance of these units themselves. Within four years a decision will be made on the desirability of maintaining governance at the faculty level, based on evaluations. What is your preference concerning UvA governance at the central level? Students and staff are the ones who are the best at giving shape to their education, research, or other tasks. Therefore it makes sense that students and staff should be able to decide on policy, instead of leaving it to a group of managers who are appointed by obscure decision-making bodies, and who are only responsible to these obscure bodies. What is your preference concerning UvA governance at the faculty level? Since students and staff are the ones who are experts in what they have to do, they should be able to decide how these tasks are managed. Deans should therefore take on a subordinate, facilitating role. What is your preference concerning governance at a decentral level? Students and staff know best how they want to study, work, and do research. Giving them the opportunity to give shape to these tasks themselves with improve the quality of the education, work, and research, because people will feel like they have ownership over their own academic lives. What is your preference concerning organisation at a decentral level within the faculties? Faculties consisting of separate departments, colleges, schools and research institutes. Faculties consisting of independent decentral units per discipline which are integrally responsible for education, research, finances and personnel. Every academic field uses a different form of education, organization, and research. Although overlap does exist, and interdisciplinary initiatives should be given room to flourish, students and staff know best what is necessary for their particular field. When the form of teaching is set by centralized organs, this also affects the content of what is taught. When there is friction between the form of teaching enforced from higher up and the necessities of a given field, this can damage the quality of education. What is your preference concerning the openness of and participation in governance and policy at the UvA? At the moment, managers are often difficult to reach, and the responsibilities and opportunities to participate are unclear. Students and staff therefore feel less involved in policy-making, and this impacts the quality of management. What is your preference concerning the continuation and organisation of the faculties? I’m unsure as to what this would entail, but if this is done by the people involved and not by managers – meaning if the green model is implemented – this evaluation could be a good idea. The Democratisation and Decentralisation committee has distinguished four models of governance and organisation. These models are the result of a combination of the principles from the previous question. You will find descriptions of the different models for governance and organisation below the question. The ‘next’ button can be found at the bottom of the page. You can now state your opinion on the four governance models themselves. Which model do you prefer most? Click on this model. Arrange the models in an order from the one you prefer most to the one you prefer least. The option you click on first will be number 1 in your ranking. If you click on a selected option it will disappear from the list. You do not have to rank all the options. In accordance to what I have indicated previously, I believe students and staff are more than capable of deciding what is important for the work, research, or study they do. They should therefore have the opportunity to give shape to this work together, because the form does definitely have impact on the content. People can make well-informed decisions, and when mistakes are made these can be learned from and overcome. Doing this at a small scale will make involvement in policy-making easier, which will in turn make these policies more responsive to the actual necessities of those involved. Furthermore, it will lessen the impact of mistakes, as these can be noticed and flexibly evaluated on time, and will not require large-scale reorganizations. The current situation. Administrators take decisions. Workers and student councils at the university and faculty level have limited advisory and corrective functions (the right to advise and the right to consent). Administrators take decisions. Workers and student councils at the university and faculty level have a strong corrective role. Along with the right to advise and the right to consent, they also have the right of initiative and the right of amendment. Within faculties, the responsibility for education, research, finances and personnel lies primarily with decentralised units at the discipline level. These are governed by the joint councils composed of students and staff, which also elect the daily executive board. Councils composed of staff and students determine policy at both central and faculty level. An elected executive board prepares and implements policy. Within four years a decision will be made on the desirability of maintaining the faculty level, based on evaluations. Hieronder is een ingevuld stemformulier te vinden voor het referendum. Het formulier is ons gestuurd door een student die groen stemt, voor een charter en senaat is. Ook is zoveel mogelijk aangegeven waarom er een bepaalde keuze is gemaakt. Wij konden ons vinden in de argumentatie en de stemkeuzes en hebben daarom besloten dit met u te delen als beter uitgewerkt stemadvies. Als eerste willen we graag uw mening over het idee om een ‘senaat nieuwe stijl’ in te stellen. Indien u meer informatie wilt lezen over dit onderwerp: onder de vraag staat een beschrijving van het doel en de samenstelling van de ‘senaat nieuwe stijl’. Onderaan de pagina vindt u ook de knop “volgende”. Hoe staat u tegenover de invoering van zo’n ‘senaat nieuwe stijl’? Als u wilt, kunt u hieronder uw antwoord toelichten. ❍ Een brede senaat geeft de mogelijkheid om eindelijk goed te discussiëren over waar de universiteit voor staat. Ook kan de senaat er voor zorgen dat de kernwaarden van de universiteit gewaarborgd worden als er decentraal en centraal beleid wordt gemaakt. De commissie D&D stelt een ‘senaat nieuwe stijl’ voor: Een representatief forum dat waakt over de waarden die ten grondslag liggen aan het beleid en bestuur van de Universiteit van Amsterdam en fungeert als kritisch ‘geweten’. De ‘senaat nieuwe stijl’ adviseert de universitaire gemeenschap en haar bestuur over beleidsvraagstukken op verschillende terreinen die de universiteit als geheel aan gaan. Qua samenstelling denkt de commissie dat er in deze ‘senaat nieuwe stijl’ zetels zouden moeten zijn voor vast aangesteld wetenschappelijk personeel (inclusief hoogleraren), tijdelijk wetenschappelijk personeel, studenten, promovendi, de decanen van de faculteiten, collegeleden en medewerkers van de ondersteunende diensten. Het voorbereidend werk gaat via breed samengestelde werkgroepen en open raadpleging van de gemeenschap. De ‘senaat nieuwe stijl’ moet voorkomen dat discussies over de toekomst van onderwijs en onderzoek aan de Universiteit van Amsterdam te veel bepaald wordt door strijd over deelbelangen of de waan van het moment in plaats van argumenten en brede gedachtewisseling en afweging. De volgende vragen gaan over het idee om een charter vast te stellen met daarin een aantal kernwaarden die ten grondslag liggen aan het bestuur en beleid van de Universiteit van Amsterdam. We vragen u zo een aantal verschillende kernwaarden te beoordelen die een belangrijke rol kunnen spelen bij het bestuur en beleid van de Universiteit van Amsterdam. Maar eerst zijn we benieuwd hoe u in beginsel staat tegenover het principe van een charter als grondslag voor het beleid en bestuur van de Universiteit van Amsterdam. Indien u meer informatie wilt lezen over dit onderwerp: onder de vraag staat een toelichting bij de betekenis van een charter voor de Universiteit van Amsterdam. Onderaan de pagina vindt u ook de knop “volgende”. Hoe staat u in beginsel tegenover het principe van een charter als grondslag voor het beleid en bestuur van de Universiteit van Amsterdam? ❍ Een charter kan ervoor zorgen dat beleid dat decentraal en centraal gemaakt wordt wel bepaalde kernwaarden in ogenschouw neemt, zoals diversiteitbeleid en een verscheidenheid aan academische perspectieven in het curriculum. Een charter geeft een antwoord op de vraag: ‘Wat ben je voor organisatie, waar staat die organisatie voor en waarom is dat de moeite waard?’ Maar ook: ‘Herken je dat in wat de organisatie doet en herkent de omgeving dat ook?’ Het charter bevat de kernwaarden die aan bestuur en beleid ten grondslag liggen. Door deze waarden vast te leggen verbindt de universiteit er zich expliciet aan en worden deze waarden minder vrijblijvend. Juist in een snel veranderende wereld en de onvermijdelijke spanningen en problemen binnen een organisatie als de UvA is een oriëntatie op kernwaarden belangrijk. De volgende vragen gaan over acht kernwaarden die een belangrijke rol kunnen spelen bij het bestuur en beleid van de Universiteit van Amsterdam. Wij willen bij elk van deze uitspraken van u weten of u vindt dat deze in het charter moet worden opgenomen. Vindt u dat deze waarde in het charter van kernwaarden van de UvA moet worden opgenomen? ❍ Hoewel er gekeken moet worden naar wat er speelt in de samenleving, moet onderzoek niet volledig beoordeeld worden op het “nut” dat het kan hebben om een product te produceren of probleem op te lossen. Bij onderwijs moet er rekening mee worden gehouden dat een bepaald vakgebied op een later moment zeer belangrijk kan blijken al is dat nu niet direct zichtbaar. ❍ Ik weet niet wat hiermee wordt bedoeld. 10. Als u wilt, kunt u hieronder uw antwoord toelichten. ❍ De kritisch wetenschappelijke houding, dat wil zeggen het in breder perspectief kunnen plaatsen van bepaalde ontwikkelingen en gebeurtenissen, is iets dat in een steeds complex wordende samenleving zeer belangrijk is. Het gaat niet enkel om het kunnen doen van onderzoek volgens bepaalde vakspecifieke regels, of het leren van vaardigheden die direct in de praktijk kunnen worden ingezet. Een kritische houding en denkwijze dragen bij aan een maatschappij en een vakgebied dat niet dogmatisch blijft hangen in een bepaalde denkwijze, maar waar ruimte is voor ontwikkeling en verschillende perspectieven. ❍ In een klimaat waar wederzijds respect en samenwerking plaatsvindt, kunnen mensen beter hun werk verrichten of hun studie volgen. Iedereen kan altijd van anderen leren, en een dergelijk klimaat draagt bij aan de ontwikkeling van personen. 14. Als u wilt, kunt u hieronder uw antwoord toelichten. ❍ Iedereen weet zelf het beste hoe zij hun werk of studie kunnen vormgeven, wat voor hen werkt; hoe kennis het beste overgebracht kan worden, hoe administratie zo effectief mogelijk wordt bijgehouden, hoe kennis opgenomen kan worden. Er moet sprake zijn van vertrouwen in de competenties van de medewerkers en studenten, zij zijn immers professionals op hun eigen manier. ❍ Academisch personeel is zeer gespecialiseerd en weet zelf heel goed hoe kennis van een bepaald vakgebied het best overgedragen kan worden. Ondersteunend personeel is gespecialiseerd op hun eigen vakgebied en weet daarom zelf hoe hun taken het best uitgevoerd kunnen worden. 18. Als u wilt, kunt u hieronder uw antwoord toelichten. ❍ Aangezien medewerkers en studenten zelf het beste weten hoe zij onderwijs willen geven, krijgen, onderzoek willen doen, of hun taken uit willen voeren, dienen zij ook de mogelijkheid te hebben om beleid vast te stellen. Nu is het vaak zo dat medewerkers en studenten enkel onderhevig zijn aan beleid dat van bovenaf wordt opgelegd en waar zij zelf niet over hebben meebesloten. Zij zijn dus enkel verantwoordelijk voor de uitvoering, terwijl hun expertise veel beter benut kan worden. ❍ Medewerkers en studenten zijn goed in staat zelf hun taken vorm te geven. Hoewel er fouten gemaakt kunnen worden, kan daar ook van worden geleerd als zij zelf beslismacht en verantwoordelijkheid hebben. Wilt u zelf nog een of meer waarde toevoegen aan de acht uitspraken over kernwaarden in de vorige vragen? 38. Geef hieronder een korte omschrijving van de waarde(n) die u wilt toevoegen. Als u meer dan één waarde wilt toevoegen, begin dan met de belangrijkste. Kies voor ‘verder’ als u hiermee klaar bent. ❍ Diversiteit van personeel en studenten moet gewaarborgd worden, want dit draagt bij aan een diverser academisch perspectief. ❍ Diversiteit van curricula moet gewaarborgd worden, want zo wordt een breder begrip opgebouwd van verschillende ideeën en perspectieven. Zo kan de eerder genoemde “kritisch wetenschappelijke blik en houding” verbeterd worden. De volgende vragen gaan over principes die ten grondslag liggen aan democratisering en decentralisering van bestuur en organisatie van de Universiteit van Amsterdam. Kies bij elke vraag het principe van uw voorkeur. De gekleurde balletjes verwijzen naar de vier modellen voor bestuur en organisatie die de commissie ontworpen heeft. Elke antwoordmogelijkheid verwijst naar één of meerdere modellen. Hieronder worden de vier modellen kort beschreven. Klik op ‘volgende’ onderaan de pagina om door te gaan. De huidige situatie: Bestuurders nemen besluiten en ondernemings- en studentenraden op universiteits- en op faculteitsniveau hebben een beperkte adviserende en bijsturende rol (advies- en instemmingsrechten). Faculteiten kennen afzonderlijke organisaties voor onderwijs, onderzoek en personeel. Binnen deze decentrale eenheden is geen formele medezeggenschap. Ze worden geleid door bestuurders die door de decaan worden aangesteld. Bestuurders nemen besluiten en ondernemings- en studentraden op universiteits- en op faculteitsniveau hebben een sterke bijsturende rol. Naast instemmings- en adviesrecht hebben zij ook initiatief- en amenderingsrecht. Faculteiten kennen afzonderlijke organisaties voor onderwijs, onderzoek en personeel, met door de decaan aangestelde bestuurders. Binnen deze eenheden zal een nader te bepalen vorm van medezeggenschap worden gerealiseerd. Raden op centraal en facultair niveau bestaande uit medewerkers en studenten bepalen het beleid. Gekozen dagelijkse bestuurders bereiden het beleid voor en voeren dit uit. Binnen faculteiten komt de verantwoordelijkheid voor onderwijs, onderzoek, financiën en personeel te liggen bij decentrale eenheden per vakgebied. Deze worden bestuurd door raden bestaande uit medewerkers en studenten. Zij kiezen een dagelijks bestuur. Binnen faculteiten komt de verantwoordelijkheid voor onderwijs, onderzoek, financiën en personeel te liggen bij decentrale eenheden per vakgebied. Medewerkers en studenten worden in de gelegenheid gesteld om zelf de organisatie en het bestuur van deze eenheden te ontwerpen. Binnen vier jaar wordt over de wenselijkheid van het voortbestaan van de facultaire bestuurslaag besloten op basis van evaluaties. Wat heeft uw voorkeur als het gaat om het bestuur van de UvA op centraal niveau? ❍ Medewerkers en studenten weten zelf het best hoe taken uitgevoerd moeten worden, hoe kennis overgedragen kan worden, hoe men het beste studeert of onderzoek kan doen. Het is daarom niet meer dan logisch dat studenten en medewerkers hierover zelf beleid maken, niet een groep managers dat is aangesteld door een onzichtbaar orgaan en die enkel aan dat onzichtbare orgaan verantwoording hoeft af te leggen. Wat heeft uw voorkeur als het gaat om het bestuur van de UvA op facultair niveau? ❍ Medewerkers en studenten weten zelf het best hoe zij willen werken, onderzoeken, onderwijs geven, of studeren. Het is dan ook niet meer dan normaal dat zij toonaangevend zijn in het beleidmakende én beleiduitvoerende proces. Een decaan moet daaraan ondergeschikt zijn en een faciliterende rol aannemen. Wat heeft uw voorkeur als het gaat om het bestuur op decentraal niveau? ❍ Medewerkers en studenten weten zelf het best hoe zij willen studeren, werken en onderzoeken. Door hen de gelegenheid te geven dit zelf vorm te geven, gaat de kwaliteit van hun werk, onderzoek en studie vooruit omdat men zich eigenaar voelt over wat ze doen. 47. Wat heeft uw voorkeur als het gaat om de organisatie op het decentrale niveau binnen de faculteiten? ❍ Ik heb hierover geen mening. ❍ Ik ben tegen elk van de bovenstaande opties. 48. Als u wilt, kunt u hieronder uw antwoord toelichten. ❍ Voor elk vakgebied werkt een andere vorm van onderwijs, organisatie en onderzoek. Hoewel er overlap kan bestaan en interdisciplinaire initiatieven de ruimte moeten krijgen, weten medewerkers en studenten zelf het beste waar behoefte aan is. Een centraal opgelegde vorm heeft ook invloed op de inhoud en kan dit schaden op het moment dat de vorm voor een bepaalde discipline niet goed functioneert. Wat heeft uw voorkeur als het gaat om openheid en participatie in het bestuur en beleid van de UvA? 50. Als u wilt, kunt u hieronder uw antwoord toelichten. ❍ Op dit moment zijn bestuurders vaak moeilijk te bereiken en zijn de verantwoordelijkheden en mogelijkheden om te participeren onvoldoende duidelijk. Hierdoor voelt men zich minder betrokken bij het proces en gaat de kwaliteit van beleidvorming achteruit. 51. Wat heeft uw voorkeur als het gaat om het voortbestaan en de indeling van faculteiten? 52. Als u wilt, kunt u hieronder uw antwoord toelichten. ❍ Ik weet niet wat dit inhoudt. Dit punt is onvoldoende uitgewerkt. De commissie Democratisering en Decentralisering onderscheidt vier bestuurs- en organisatiemodellen. Deze zijn combinaties van principes uit de voorafgaande vragen. Onder de vraag staan de beschrijvingen van de bestuurs- en organisatiemodellen nogmaals weergegeven. De knop “volgende” staat onderaan de pagina. We leggen u nu de vier bestuurs- en organisatiemodellen integraal voor. Naar welk model gaat uw voorkeur uit? Klik dit aan. Rangschik de modellen in de volgorde van meeste voorkeur tot minste voorkeur. De optie waar u het eerst op klikt verschijnt als nummer 1 in de rangorde. Als u een geselecteerde optie aanklikt, verdwijnt deze uit uw rangschikking. U hoeft niet alle opties te rangorden. ❍ In overeenstemming met wat ik eerder heb aangegeven, ben ik van mening dat studenten en medewerkers capabel genoeg zijn om zelf te bepalen wat belangrijk is voor het werk, onderzoek of de studie die zij doen. Zij behoren daarom ook de mogelijkheid te hebben de vorm hiervan in overleg met elkaar vast te stellen, omdat de vorm wel degelijk invloed heeft op de inhoud. Men is in staat om weloverwogen besluiten te nemen en als er fouten worden gemaakt deze te herstellen. Dit doen op kleinschalig niveau maakt de betrokkenheid van mensen makkelijker waardoor het beleid beter is afgestemd op de daadwerkelijke belangen en behoeften van de betrokkenen, daarnaast maakt het het maken van fouten minder ernstig, omdat dit vaak op tijd bijgesteld kan worden en geen enorme reorganisatie vereist.  De huidige situatie: Bestuurders nemen besluiten en ondernemings- en studentenraden op universiteits- en op faculteitsniveau hebben een beperkte adviserende en bijsturende rol (advies- en instemmingsrechten).  Faculteiten kennen afzonderlijke organisaties voor onderwijs, onderzoek en personeel. Binnen deze decentrale eenheden is geen formele medezeggenschap. Ze worden geleid door bestuurders die door de decaan worden aangesteld.  Bestuurders nemen besluiten en ondernemings- en studentraden op universiteits- en op faculteitsniveau hebben een sterke bijsturende rol. Naast instemmings- en adviesrecht hebben zij ook initiatief- en amenderingsrecht.  Faculteiten kennen afzonderlijke organisaties voor onderwijs, onderzoek en personeel met door de decaan aangestelde bestuurders. Binnen deze eenheden zal een nader te bepalen vorm van medezeggenschap worden gerealiseerd.  Raden op centraal en facultair niveau bestaande uit medewerkers en studenten bepalen het beleid. Gekozen dagelijkse bestuurders bereiden het beleid voor en voeren dit uit.  Binnen faculteiten komt de verantwoordelijkheid voor onderwijs, onderzoek, financiën en personeel te liggen bij decentrale eenheden per vakgebied. Deze worden bestuurd door raden bestaande uit medewerkers en studenten. Zij kiezen een dagelijks bestuur.  Binnen faculteiten komt de verantwoordelijkheid voor onderwijs, onderzoek, financiën en personeel te liggen bij decentrale eenheden per vakgebied. Medewerkers en studenten worden in de gelegenheid gesteld om zelf de organisatie en het bestuur van deze eenheden te ontwerpen.  Binnen vier jaar wordt over de wenselijkheid van het voortbestaan van de facultaire bestuurslaag besloten op basis van evaluaties. Met enige verbijstering hebben de actiegroepen vandaag kennis genomen van het “flexstudeer”-plan dat door het opmerkelijke gezelschap Stefan Wirken (voorzitter van de Landelijke Studentenvakbond), Dymph van den Boom (interim-collegevoorzitter van UvA en HvA), Pieter Duisenberg (VVD-Kamerlid en fervent tegenstander van de Maagdenhuisbezetting) en Mohamed Mohandis (PvdA-Kamerlid) is aangedragen. Het voorstel zou tegemoetkomen aan de voortdurende onvrede over rendementsdenken op de universiteit die dit jaar tot uitbarsting is gekomen, maar doet juist het tegenovergestelde. Het idee is om studenten te laten betalen per gevolgd vak. Het plan is bedoeld voor studenten die naast hun studie werken, een gezin willen onderhouden, of een bestuursjaar willen doen. Kortom, studenten die hun studie over een langere periode willen spreiden. Deze studenten moeten op dit moment hetzelfde betalen als een voltijdstudent, terwijl zij geen tijd hebben om al die vakken in hetzelfde tempo te volgen. Hierdoor studeren zij meestal één of twee jaar langer en kost hun studie uiteindelijk meer geld. Tot zover dus een sympathiek plan. Als blueprint voor het “studeren van de toekomst”, zoals Duisenberg en Dymph het graag zien, is het “flexstuderen” echter faliekant een stap in de verkeerde richting: die van de universiteit als supermarkt. Bij dit plan ligt vooral een grote nadruk op studenten die zich naast hun studie willen ontplooien en daar ruimte voor moeten krijgen. Het is echter een specifieke vorm van ontplooiing waar op wordt ingezet: een ontplooiing binnen een bestuursjaar bij je studentenvereniging of het lopen van een stage. Een ontplooiing waarbij het enkel gaat om de student als ondernemer, aangewezen op haar “eigen verantwoordelijkheid” als zij, bijvoorbeeld door ziekte, een vak een keer niet haalt: de student mag daar dan zelf voor betalen. Wat als er iets misgaat in de studieplanning, als door omstandigheden de student vakken niet haalt en over moet doen? Word je er dan extra voor gestraft? Het plan komt voort uit jaren van bezuinigingen onder het mom van ‘de langstudeerder kost ons klauwen met geld’ – een stelling die overigens nooit is bewezen. Dit plan kan verregaande gevolgen hebben voor de manier waarop vakken worden aangeboden. Het is namelijk niet alleen zo dat de student per vak gaat betalen, faculteiten en opleidingen zullen ook meer gefinancierd gaan worden aan de hand van aantallen gevolgde vakken. Dit blijkt uit het volgende citaat van de bedenkers van dit plan uit de Volkskrant van 14 december jl: “Daarom willen wij dat het op studentenaantallen gebaseerde deel van de financiering niet langer wordt berekend op basis van een volledig studiejaar, maar per vak dat de student volgt.” En hoe duidelijker individuele vakken verantwoordelijk zijn voor bepaalde inkomsten, hoe sterker de prikkel om populaire vakken aan te bieden en hoe groter de druk op vakken die weinig studenten trekken. Daarnaast kan dit plan zorgen voor minder behaalde studiepunten per student: elke student die volgens dit plan studeert heeft direct de prikkel om alleen die vakken te volgen waarvan hij of zij zeker is dat het haalbaar is. Wat dat met “dromen” te maken heeft is ons onduidelijk. Inspirerend is het in ieder geval niet. Het valt te verwachten dat als gevolg hiervan juist de vakken die niet direct “rendabel” of “carrierebevorderend” zijn maar toch maatschappelijk cruciaal, niet genoeg studenten zullen trekken en daardoor makkelijker afgeschaft worden. Dit vermindert drastisch de specialisatie- en keuzemogelijkheden van studenten. De universiteit hoort geen bedrijf te zijn dat winst maakt, het is een onderwijsinstelling die mensen opleidt kritisch na te denken. Daar horen ook vakken bij over bijvoorbeeld dekolonisatie, gender, en zeer specifieke vakken over bijvoorbeeld Middeleeuwse geschiedenis of Philosophy of Mind. Een andere consequentie is dat de administratieve last van de universiteit groter wordt. Als de student per vak betaalt, moet per vak beoordeeld worden of iemand toegang heeft gekregen tot dat vak, vóórdat er geld gevraagd kan worden. Hier gaat veel tijd in zitten en tijd kost nou eenmaal geld. Wij pleiten er juist voor dat er bezuinigd wordt op overheadkosten – kosten die worden betaald met geld dat bedoeld is voor onderwijs en onderzoek. Dit plan toont hoe slecht Den Haag heeft geluisterd naar de geluiden die afgelopen jaar door docenten en studenten naar voren zijn gebracht. Wij zien bovendien een groot gevaar in dit plan op het moment dat het ingevoerd zou worden. Het nieuwe plan wordt namelijk niet alleen gepresenteerd als manier om studeren goedkoper te maken, maar wordt ook gebracht als toekomstvisie voor de financiering van het hoger onderwijs . Dit plan zou – als het over de hele universiteit werd ingevoerd – een manier zijn om onderwijs financierbaar te houden zonder dat de overheid de eerste geldstroom zou moeten verhogen. Het is niet de eerste keer dat een plan dat naar voren wordt gebracht als oplossing voor problemen bij studenten, eigenlijk een verkapte bezuinigingsmaatregel is. Dit zagen we al bij de prestatieafspraken: die werden gepresenteerd als maatregel om de onderwijskwaliteit te verhogen, maar pakten uit als maatregel om studenten sneller door hun studie te jagen en er zo voor te zorgen dat de overheid minder lang per student hoeft te financieren. Daarom moet er nu nagedacht worden over de consequenties van deze manier van financieren voor alle studenten. Deze manier van financieren claimt namelijk studenten meer ruimte te geven voor hun eigen keuzes, maar voor veel studenten zal zij juist ontplooiing en de eigen regie over de studie beperken: Gepassioneerde studenten die zo geïnteresseerd zijn in hun vakgebied dat zij meer vakken willen volgen dan het minimum nodig voor het behalen van een diploma, worden afgestraft bij in een systeem waar per punt wordt betaald en moeten meer gaan betalen. Studenten die twee studies willen doen omdat zij zich op meerdere gebieden willen ontplooien moeten dubbel betalen terwijl zij nu – als zij twee studies tegelijkertijd doen – slechts één keer collegegeld hoeven te betalen. Studenten die niet zeker weten of ze een extra vak willen volgen zullen eerder geneigd zijn deze verdieping of verbreding te laten schieten door deze nieuwe financiële prikkel; en als je een vak eenmaal hebt gekozen maar er achter komt dat je het toch liever wil laten vallen is dat een ook een keuze die financiële gevolgen draagt. Op deze manier wordt intellectuele nieuwsgierigheid ontmoedigd. Van alle kanten wordt het studenten reeds moeilijk gemaakt de opleiding te doen die zij willen: het leenstelsel – een plan dat door de VVD en PvdA zelf is ingevoerd – maakt het voor veel (aankomend) studenten onbetaalbaar, het moeten betalen van institutiegeld na de afronding van de eerste studie zorgt voor een enorme druk om meerdere studies tegelijkertijd te doen, en het instellen van selectieve masters maakt dat je maar beter alleen het verplicht noodzakelijke kunt doen zodat je minder risico loopt minder goede cijfers te halen. Dit nieuwste plan is daar nog een schepje boven op, want waarom zouden studenten in dit geval méér willen doen dan strikt noodzakelijk is? Het plan is volgens Wirken een reactie op het leenstelsel dat de mogelijkheden van studenten beperkt. Inderdaad, het leenstelsel is een groot probleem. De oplossing is echter niet het opstellen van een plan dat de mogelijkheden van studenten nog verder inperkt. Hoewel de “gewone” optie nog steeds blijft bestaan, stelt de invoering van dit plan de studenten voor een moeilijke keuze: minder schulden of meer verdieping? Want als je jezelf binnen het onderwijs verder wil ontplooien door meer vakken te volgen of een extra studie te doen, zit je automatisch met een hogere studieschuld. Daarnaast verdwijnt een belangrijk aspect van studeren: het sociale aspect. Als iedereen een eigen programma op eigen snelheid volgt verdwijnen de sociale aspecten van studeren, waarbij studenten samen studeren, elkaar helpen als de een het lastig heeft doordat bijvoorbeeld iets misgaat in de familie of door ziekte. Het samen leren, het elkaar bij de les houden, het met elkaar de stof eigen maken, dat wordt veel moeilijker als je per vak weer een eigen vertrouwd groepje moet vormen. Het zal daardoor minder opvallen op het moment dat er iemand uitvalt. Dit versterkt de afbraak van de academische gemeenschap die al jaren aan de gang is: docenten krijgen steeds minder tijd om studenten te begeleiden, gebouwen werken steeds meer met pasjes waardoor er fysieke barrières ontstaan tussen docenten en studenten, en met dit plan zullen ook studenten elkaar steeds minder makkelijk treffen. Los van de inhoudelijke bezwaren tegen dit plan, gaat het direct in tegen de eisen die het afgelopen jaar door protesterende studenten zijn opgesteld. Dit is niet verrassend aangezien de PvdA en VVD tot op heden geen van de eisen hebben overgenomen of ondersteund. Sterker nog, de PvdA en VVD hebben voor het leenstelsel gestemd. Waarom de LSVb aan dit plan meewerkt is echter verbazingwekkend. Het is onduidelijk hoe de LSVB er precies toe besloten heeft dit plan te ondersteunen, want overleg met hun deelvereninging de ASVA lijkt achterwege zijn gebleven getuige de kritiek vanuit dat kamp. Kortom: het experiment is nog een stap in de richting van, niet weg van, de commercialisering van het onderwijs. Na flexwerken en flexwonen dreigt dit de zoveelste maatregel te zijn om, onder het mom van “persoonlijke vrijheid” en “stimulering”, een prijskaartje te hangen aan elk onderdeel van het publieke goed, ten koste van hen die niet tot een ondernemende of bestuurlijke elite behoren. Wie studenten echt hun dromen wil laten volgen, moet kwetsbare vakken beschermen en onderwijs betaalbaar houden voor iedereen. Onze eigen Arthur Berkhout heeft een artikel geschreven voor Folia naar aanleiding van de start van het academische jaar. Dat artikel is hier te lezen op folia en staat hier onder in zijn volledigheid. Het nieuwe collegejaar is zoals bekend enigszins tumultueus van start gegaan, en de sussende reactie van het CvB liet niet lang op zich wachten: Hans Amman sprak zich in een woensdag op Folia.nl verschenen interview uit over de censuurkwestie. Op dezelfde dag verscheen in het blad Folia een interview met minister van Onderwijs, Cultuur en Wetenschap Jet Bussemaker, die de kans kreeg de afschaffing van de basisbeurs te verdedigen en in het algemeen haar licht te laten schijnen over het Nederlandse hoger onderwijs. Wie dacht dat met de blokkade van de opening van het academisch jaar de toon is gezet, zit ernaast. Het zijn deze twee interviews die tonen hoe in de hogere bestuurslagen na een jaar protest nog altijd over democratie en reële inspraak wordt gedacht: namelijk als een bron van reputatieschade en als een overbodig attribuut. Bussemaker beweert vol optimisme dat door de afschaffing van de basisbeurs (het ‘studievoorschot’) 1 miljard euro vrijkomt, geld dat volledig ten goede zal komen aan het hoger onderwijs. Het is nog maar de vraag of dit bedrag daadwerkelijk gerealiseerd zal worden. Hoe dan ook zal dit geld te laat komen om op de UvA de aanstaande draconische bezuinigingen op de Faculteit der Geesteswetenschappen en de Faculteit der Rechtsgeleerdheid te kunnen verhinderen. Waarvan is dit het gevolg? Alles wijst erop dat de financiële problemen aan de UvA ontstaan zijn door grootschalige vastgoedprojecten, waarvan de zinnigheid ernstig betwijfeld kan worden. De academische gemeenschap heeft hierover niet mee kunnen beslissen. Ondertussen wordt zij wel gedwongen miljoenenbezuinigingen te ondergaan die de kwaliteit van onderwijs en onderzoek zwaar onder druk zetten en tot vele ontslagen leiden. Tot op heden wordt als motivatie voor deze bezuinigingen alleen verwezen naar systemische noodzakelijkheden die vervat zijn in het universitaire allocatiemodel – in plaats van dat verantwoordelijkheid voor het eigen beleid wordt genomen. Bussemaker verkondigt nu in het genoemde interview dat het ten tijde van de Maagdenhuisbezetting ‘niet zo simpel was om zicht te krijgen op wat de actievoerders wilden’. Welnu, dat is erg duidelijk en was het toen ook. We willen niet dat de kwaliteit van ons onderzoek en onderwijs in het geding komt door de onbesuisde acties van bestuurders waar we geen invloed op hebben. De waarde van democratie aan de universiteit ligt hierin besloten: dat potentieel de volledige academische gemeenschap dergelijke acties wél kan controleren en daarmee de universiteit beter maken. De opmerking dat de protesten in een groot deel van het land geen weerklank zouden vinden, is voor een bewindspersoon van een partij die momenteel in de peilingen op 14 zetels uitkomt natuurlijk enigszins gewaagd. De bewering dat op sommige Engelse universiteiten studenten ondanks een volkomen gebrek aan inspraak wel tevreden zouden zijn, is een gotspe. De minister verkondigt in feite dat democratie overbodig is en we maar gewoon tevreden moeten zijn. Ze impliceert zelfs dat een universiteit te complex is om door een gekozen rector bestuurd te worden. Terwijl het duidelijk is dat nu juist het niet-verkozen bestuur met vastgoed geblunderd heeft en nu de rekening naar de faculteiten, naar het onderwijs en onderzoek, naar ons studenten en medewerkers doorschuift. In plaats van dat de sociaaldemocratische minister het democratisch engagement ondersteunt, zet ze de protesterende studenten weg als vage utopisten met overbodige doelen. En daarmee is daadwerkelijk de toon gezet: het delegitimeren van protesterende studenten lijkt nog altijd de instinctieve reactie van bestuurders op onrust te zijn. Hans Amman beweert dat de helft van de 8 procent minder aanmeldingen aan de UvA dit jaar terug te voeren is op de protesten van afgelopen jaar. Nou kun je je afvragen waar hij deze inschatting op baseert (heeft hij bijvoorbeeld iedereen die dit jaar niet aan de UvA gaat studeren gevraagd waarom niet?). Je zou je ook kunnen afvragen of de door de UvA in de arm genomen reputatiemanager zijn werk niet goed gedaan heeft. En of alle PR-campagnes en idealistische posterseries toch geen vruchten hebben afgeworpen. Maar als er iets is dat de reputatie van de UvA zodanig heeft kunnen beschadigen dat mensen ervan afzien hier te studeren, dan moet dat toch vooral gezien worden in het feit dat het universiteitsbestuur tot meerdere keren aan toen de ME op zijn eigen studenten afstuurt. En, ja: kritische gedichten censureert. De academische lente is nog lang niet voorbij. 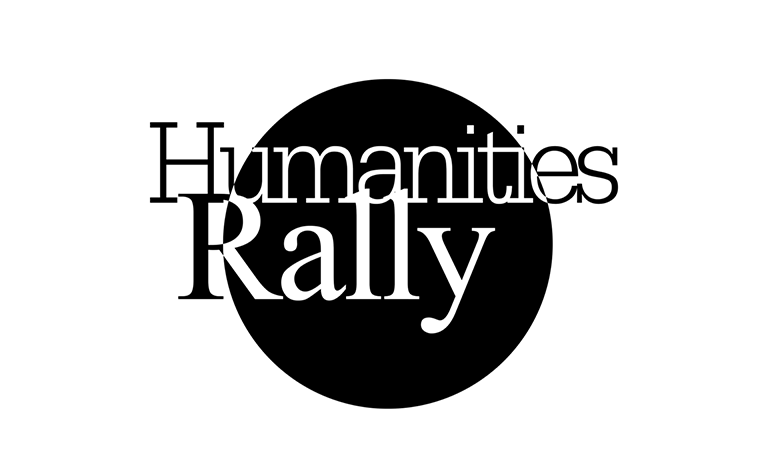 In samenwerking met Humanities Rally schreef Maarten van der Werf een artikel over ‘kleine’ talen studies in Trouw. De studie van ‘kleine talen’ is van belang voor de economie, de internationale samenwerking, en het voorkomen van conflicten, betoogt vertaler Maarten van der Werf. Zowel aan de Universiteit van Amsterdam als aan andere Nederlandse universiteiten staan de opleidingen ‘kleine talen’ al jaren onder druk. Ze dreigen op te gaan in breder opgezette opleidingen waarbij de onderdelen taal sterk worden beperkt, of simpelweg geschrapt. Binnen de gemeenschap van vertalers wordt de stiefmoederlijke behandeling van deze ‘kleine talen’ met zorg bezien. Allereerst over dit laatste begrip: de Universiteit van Amsterdam schermt met cijfers waaruit blijkt dat bij sommige talenstudies slechts enkele studenten zijn ingeschreven. De kosten van de opleidingen zouden daarom niet te rechtvaardigen zijn. De realiteit is echter dat de colleges vaak vol zitten: veel van deze studies worden gevolgd als tweede studie of als bijvak, waarbij studenten bij een andere opleiding staan ingeschreven. Het probleem is dan ook niet een vermeend gebrek aan studenten, maar eerder het systeem van financiering dat het ministerie hanteert. Voorts stemt het begrip ‘kleine taal’ ook op een ander vlak niet overeen met de realiteit: het Italiaans, maar ook bijvoorbeeld het Pools en het Russisch zijn met hun tientallen miljoenen sprekers toch onmogelijk klein te noemen? De vaardigheden van tolken en vertalers zijn overal nodig, van de Europese ambtenarij tot het bedrijfsleven, van webtekst tot diploma en van literatuur tot journalistiek. In Nederland bestaat nogal eens het idee dat je overal wel met Engels terecht kunt, maar dat is een fabeltje. Niet voor niets schreeuwt het bedrijfsleven om meertalig personeel, want het kan je deals opleveren als je buitenlandse zakenpartners in hun landstaal te woord kunt staan. Dat geldt zelfs voor onze belangrijkste handelspartner Duitsland. Ook de journalistiek moet toegang hebben tot bronnen in verschillende talen om een evenwichtig beeld te kunnen geven van allerlei zaken. Dat valt deels op te lossen met taalcursussen, maar om de talenkennis op peil te houden heb je academische specialisten nodig, al was het maar om die cursussen op niveau te kunnen geven. Talenstudies hebben praktisch en economisch nut en dat mag zijn weerslag hebben in het curriculum: voor juridisch en commercieel taalgebruik moet zeker aandacht zijn. Kennis van talen is echter vooral noodzakelijk om de samenlevingen te kunnen begrijpen waarin die talen worden gebezigd; door middel van vertaalde boeken en geschriften, maar ook via ondertiteling van films en tv-programma’s en via andere cultuuruitingen. Ook dat heeft een praktisch belang: als men een oorlog in Oekraïne wil vermijden is het wel zo handig de beschikking te hebben over iemand die iets begrijpt van de cultuur en geschiedenis van de betrokken partijen. Kennis van de respectievelijke talen is nodig voor dat begrip. In een multiculturele samenleving als de onze is ook bijvoorbeeld een taal als Arabisch van bijzondere betekenis: zowel het Midden-Oosten als de Maghreb zijn belangrijke, nabijgelegen gebieden waarmee veel Europeanen nauwe banden hebben. Behalve al die praktische en economische redenen is er echter die andere, enorm belangrijke reden om kleine talenstudies te behouden, die niet in euro’s of studentenaantallen te kwantificeren valt, en daarom maar al te vaak over het hoofd wordt gezien: de cultuur om de cultuur, de schoonheid, de vervoering, de ontroering. Ofwel: de beschaving zelf.